Busy, Busy summer of agency work and a new full-time, permanent job from home with benefits and retirement contributions. Also, the search was on for a larger condo. Until the elusive ideal condo for us comes on the market, my husband and I will continue to make due with our current cozy condo. We've already purchased a new desk for me and I found one of my all-time favourite modern design chairs to use for my desk chair. 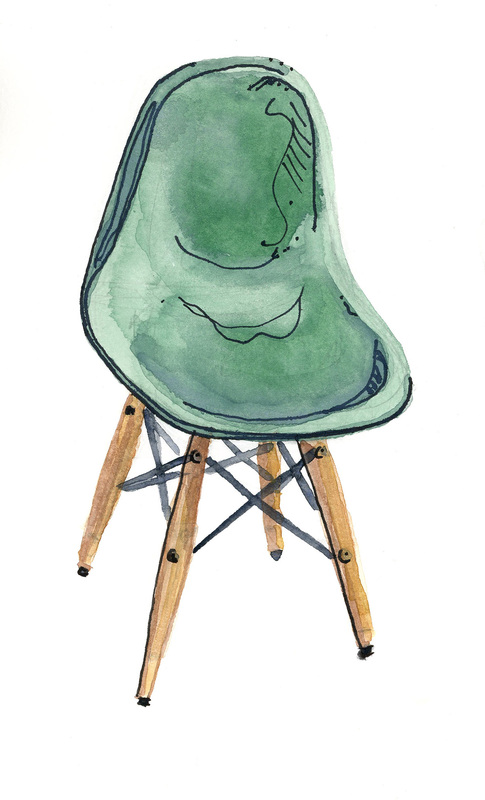 It's an Eames reproduction of their Molded Plastic Dowel-Leg Side Chair (DSW).